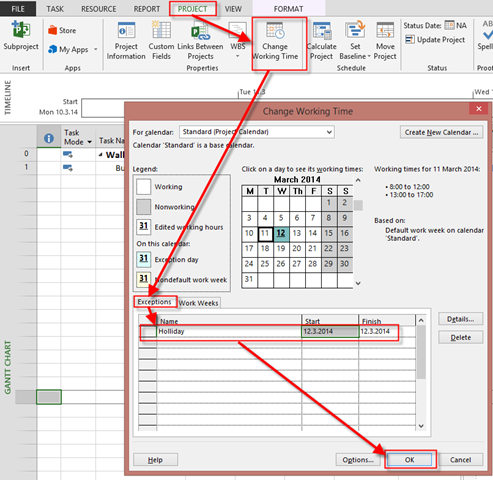 ← Task Calendar in MS PROJECT 2013 – when to use it? 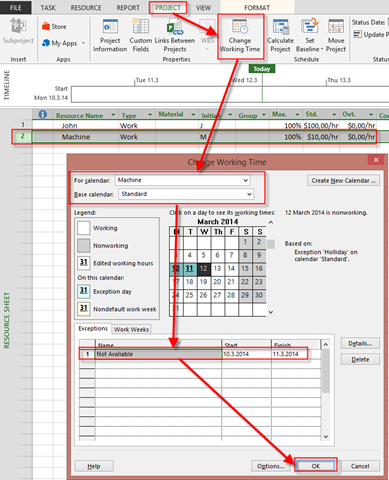 Material Resources and Calendars in MS PROJECT 2013 – where is the link? “Hi Nenad. i follow your blog step but i added resource as material not as work, but it doesn’t come up to me in the calendars list to adjust its working/non working time. is there a reason for that or is it just a bug? I’ll show you that in MS PROJECT 2013. As you can see, the Task will be finished at Monday, 10.03.2014, nota at Friday 14.3.2014, because it needs 5 working days. And only John is affected (e.g. Working Resources) with Calendars. But why not Material Resources as well? Because, for example Bricks, are not available at certain period. You have them or not. It is logical. On the other hand, let suppose that you have a machine need for building a wall, and you do not have them available all the time. In that Case, you should create, for example, Machine as work Resource, make a Calendar for it’s availability and then assign them to the Task. No the Machine is not Over allocated, but there is something wrong with this scenario. I John need the Machine for the work he couldn’t work without it at Monday, and Tuesday . So you have to be extremely careful when you are using exceptions, and calendars for Resources. This entry was posted in MICROSOFT PROJECT, Microsoft PRoject 2010, Microsoft Project 2013, MS PROJECT 2010, PMI, PRoject Management and tagged Microsoft Project 2010, Microsoft Project 2013, Microsoft Project 2013 - Calendars, Microsoft Project 2013 - Resources. Bookmark the permalink. 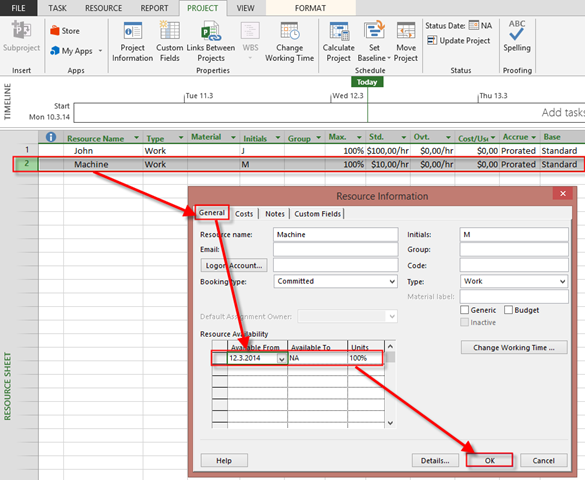 2 Responses to Material Resources and Calendars in MS PROJECT 2013 – where is the link? 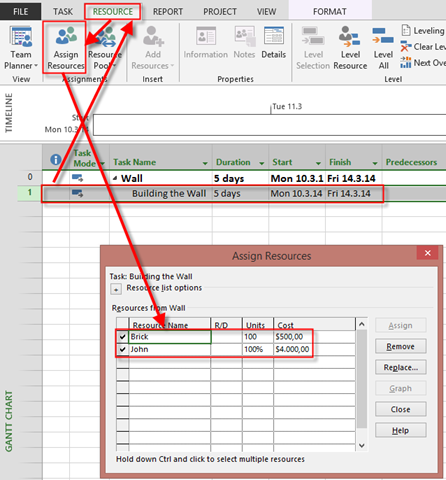 Nenad, you can assign just John as the work resource and assign the Machine Calendar direct to the the Task “Building the Wall”. The task will be scheduled, when both John and the machine will be available simultaneously.